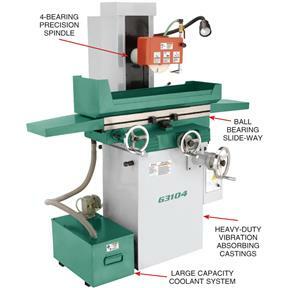 Here is an excellent surface grinder for grinding precision parts in hardened or annealed ferrous metals. 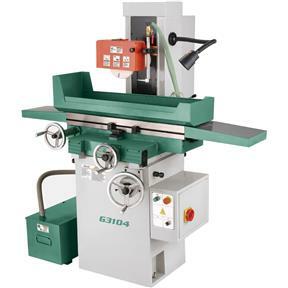 It features heavy cast iron construction, quiet-running precision spindle, ball bearing longitudinal slide, coolant system and more. Choose from our selection of grinding wheels, and accurately true and balance them with the supplied kit. 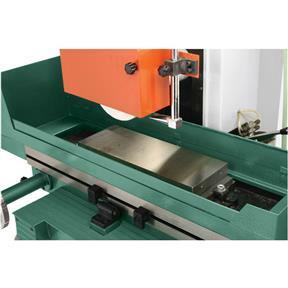 A must for precise, close tolerance work. Table surface: 6" x 18"
Maximum distance table to wheel: 10-3/4"
Column size: 7-1/2" x 12"
Approximate shipping weight: 1429 lbs. 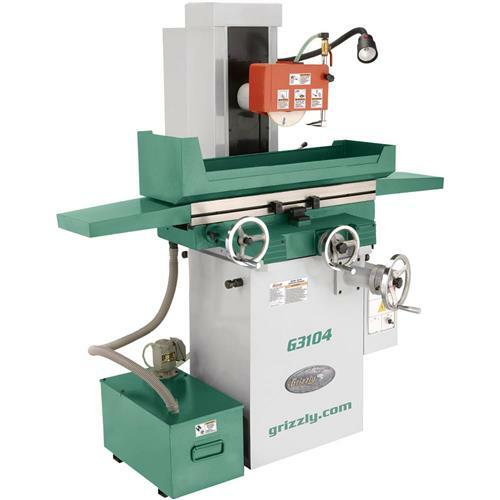 Fills a need in our shop for basic grinding. Crating could have been better. Some paint wore off during shipment off due to packaging.